It was an eventful weekend as this year’s Harare International Carnival went beyond expectations and brought multitudes together for memorable outing. The week of festivities ended in style as the capital became a hive of activity throughout the day on Saturday. Events were held at various places last week and Saturday sealed the dominance of the event that has become the biggest entertainment showcase of the year. As early as 8am streets of Harare were filled with fun-loving people as they made merry and drank beer freely, dancing to music at various stages that were dotted in the city centre and also watching performances from different acts. The parade began at Simon Muzenda Street, widely known as Fourth Street, going along Jason Moyo to the Civic Centre grounds. 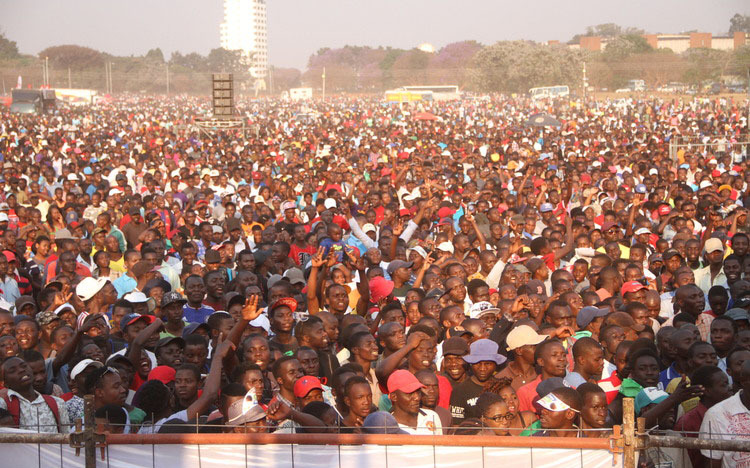 It is about four kilometers from Simon Muzenda to Civic Centre grounds but it took close to eight hours for the performers and revellers to reach Civic Centre grounds. Sweden, Egypt, Namibia, Botswana, Nigeria, United Kingdom, Angola, Kenya, South Africa, Indonesia, Italy, Jamaica, and Japan were among countries that took part in the event. The much-awaited Cubans, however, were in no show with the organisers Zimbabwe Tourism Authority (ZTA) saying they were not aware of what deterred them. Carnival jamboree brought the city business on stand still as thousands were enjoying the party. Thumbs up to Big Time Strategic group for sponsoring the big event. As early as 3pm thousands were already gathered at the Civic Grounds waiting for their different musicians to perform. That was the signature to the jamboree! Displays from the air force of Zimbabwe brought excitement to the merrymakers. They showcased their skills to many people’s delight and left many asking for more as they prepared the ground for a memorable night. After a long day several musicians from different countries performed. Werrason proved why he is the “King of Rhumba” as he performed several hit songs. He left merrymakers convinced he is still a force to reckon with in the music industry. Fans went wild when raunchy dancer Beverly Sibanda joined the Congolese star on stage leaving thousands satisfied. The dancer proved her mettle convincing the star that she has what it takes to shake the industry. Several local groups that include Jah Prayzah, Peter Moyo, Tendai Dembo, Seh Calaz, Soul Jah Love and Winky D among others performed. Unfortunately, Jah Prayzah’s collaborations could not justify his slot as they were not popular with revelers. Winky D had a bad day in office as he was betrayed by the poor sound system. The musician blamed poor sound system for the poor performance. South African group Uhuru failed to thrill the nation as they looked tired. Though several musicians came for the event and performed, the day belonged to Soul Jah Love who thrilled fans in both the street party and at the concert. At the concert Soul Jah Love came to the stage after a commotion as fans called for him to come on stage. The fans were apparently impatient with other acts and had to make a scene for the musician to perform before his slot. His hit songs proved to be popular with thousands of music lovers that thronged the event. His manager Benjamin Nyandoro thanked the fans for the good appreciation saying they were ready to unleash another album end of this month. “Pamamonya”, “Ndini Uya Uya” and “Hove Huru” were among the songs that left thousands thrilled. Several DJs performed at the concert and played most of the hit songs. Beenie Man, who was supposed to perform at the event could not make it but his absence could not be felt as fans went wild with partying throughout the night. ZTA’s corporate affairs manager Sugar Chagonda described the event as highly successful. He said people are getting an appreciation of what carnival was. “It is only the issue of resources but our plan is to take it to all the provinces. Victoria Falls carnival is already there and we are working something for Bulawayo,” he said. Various retailers made brisk business on the day and it will be a carnival to remember for many. This year’s edition surpassed the previous inception of the carnival and ZTA is expecting a bigger event next year. Before the Saturday event Werrason had thrilled people at Cresta Oasis car part courtesy of Time and Jazz Café while Samba dancers from Brazil performed outside Holly’s Hotel at the Samba Night. Most artistes from outside the country including Werrason and the Samba dancers had announced their arrival on Thursday night at a welcome reception at the Harare International Conference Centre where Vice President Emmerson Mnangagwa was guest of honour and applauded organisers for a good job.